CNN published an article recently with a troubling warning for parents. The article focused on a phenomenon called the 100 Deadliest Days, which refers to the fact that the period between Memorial Day and Labor Day is the most dangerous time for teen drivers. Teens who drive could not only injure themselves or fellow passengers during the 100 deadliest days, but could also cause serious injuries or even death among other motorists on the road. If a teen driver does something wrong behind the wheel, the teen and his family could all potentially be held accountable, depending upon the circumstances. 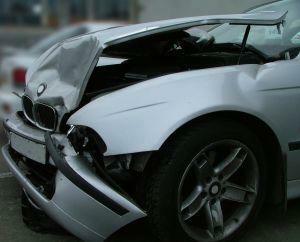 An Atlanta car accident lawyer can help victims to determine if it is possible to pursue a case. Parents should also try to make sure their kids are making smart driving decisions so they are not the ones who end up being sued for losses because of causing a crash. CNN reported there were more than 5,000 crashes in the 100 deadliest days between 2010 and 2014. Compared with other days of the year which are not part of the 100 deadliest days, there is around a 16 percent increase in deaths during this troubling period. There are many possible reasons put forth to explain why there are so many teens dying in car accidents in the summer. For example, in almost 60 percent of the incidents in which a teen driver is involved in a fatal accident, the incident involves a distracted driver. Another big issue is that school is out, so teens tend to have more time and to use at least some of that time diving. When teens drive in the summer, the driving may also be more recreational than purposeful, which means teens could be on unfamiliar routes and could be more focused on the new locations around them, rather than on being safe. Teens also tend to drive with their friends more during the summer, and having more passengers in the car is a significant contributing factor to crash risks. The more young people a teenage driver has riding with him in his vehicle, the greater the chances of a collision occurring. Parents should make sure they have set clear boundaries for their children regarding when and where teens can drive as well as regarding the number of passengers in the car. It is also important for parents to emphasize the dangers of impaired driving, and for teens to stay 100 percent sober at all times when getting behind the wheel. If you are involved in a car accident with a teen driver, or with any careless motorist, you need to understand your legal rights. Teens can be held accountable if they harm passengers or other motorists through negligent driving behavior or by violating the rules of the road. An attorney can provide assistance with making a claim against teenaged drivers who cause collisions to occur.